Broadway Belts for PFF is a benefit for the Pulmonary Fibrosis Foundation and will feature the talents of Broadway’s Lisa Howard (It Shoulda Been You), Margo Seibert (Rocky), Hunter Ryan Herdlicka (Once Upon a Mattress), Daveed Diggs (Hamilton), Randy Graff (City of Angels), Cady Huffman (The Producers), Judy Kaye (Mamma Mia), Robert Creighton (The Mystery of Edwin Drood), and Telly Leung (Allegiance). Click here for tickets! 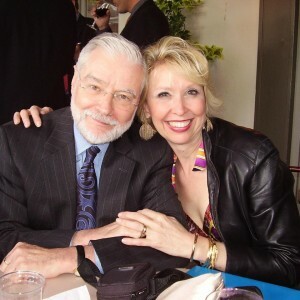 For more on Julie be sure to visit her website and follow her on Facebook and Twitter! For more on Pulmonary Fibrosis Foundation click here and follow them on Facebook, Twitter, and Instagram! 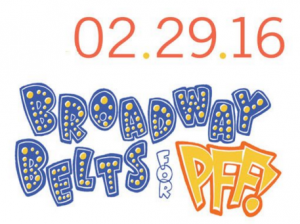 Follow Broadway Belts for PFF on Facebook and Twitter!